Post arrest patients can sometimes be challenging. 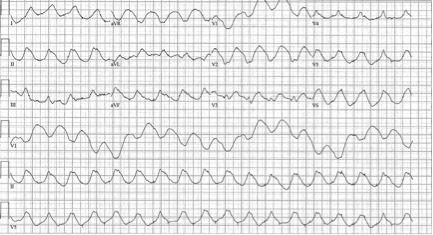 We need to think of a variety of underlying causes of the arrest, antiarrhythmics, possible cath lab activation, targeted temperature management, sedation and more. To add to this, many post arrest patients do not have ideal vital signs that require attention. In this Best Case Ever, in anticipation of our upcoming episode on A Rational Approach to Hyperkalemia Dr. Melanie Baimel describes a post arrest patient who remains bradycardic and hypotensive despite multiple pressors…. Hyperkalemia can cause almost any dysrhythmia, but in particular, in patients who appear to be in “slow VTach” (ie. wide complex bradycardias), hyperkalemia should be high on your differential diagnosis. Not only can hyperkalemia cause almost any dysrhythmia, but the ECG in patients with hyperkalemia can even look like a STEMI, Brugada Syndrome or Benign Early Repolarization. 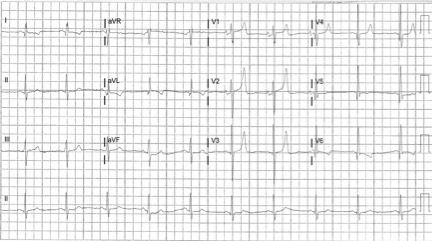 One way to distinguish the ECG of a true STEMI from hyperkalemia with ST elevation is that the latter will usually show a right axis deviation. 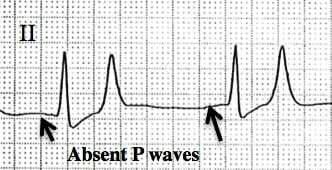 Peaked T wave – a sensitive sign is if the amplitude of the T exceeds the amplitude of the R, but one needs to think about early MI as well! Dr. Helman and Dr. Baimel have no conflicts of interest to declare. I think Also in true STEMI there would be reciprocal changes that is not typically seen with STE with hyperkalemia..